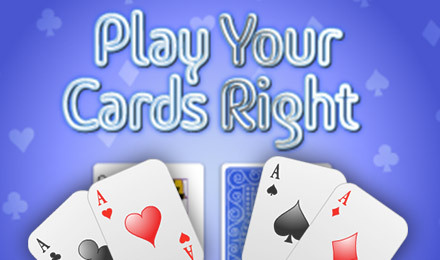 Play Your Cards Right Slots | WIN Big Cash Payouts! Spin to WIN this Hi Lo themed slot and play two exciting Bonus games! This 15 payline slot is based on the T.V game show and is loaded with big prizes! Play your cards right and you could win BIG! Play Your Cards Right slots is a Hi Lo themed slot game based on the popular T.V. game show. The graphics and sound are stunning and you’ll groove your way to winning the big jackpots! There are two exciting Bonus games- the Play Your Cards Right Grand Final Bonus and the Double Chance Bonus! Play these Bonus rounds for huge cash payouts and multiplied wins! The Jester Symbol is the Wild and will help you get winning combination by replacing other symbols! Another important symbol is the Cashpot symbol, which will add cash prizes based on your wager! Spin to WIN!